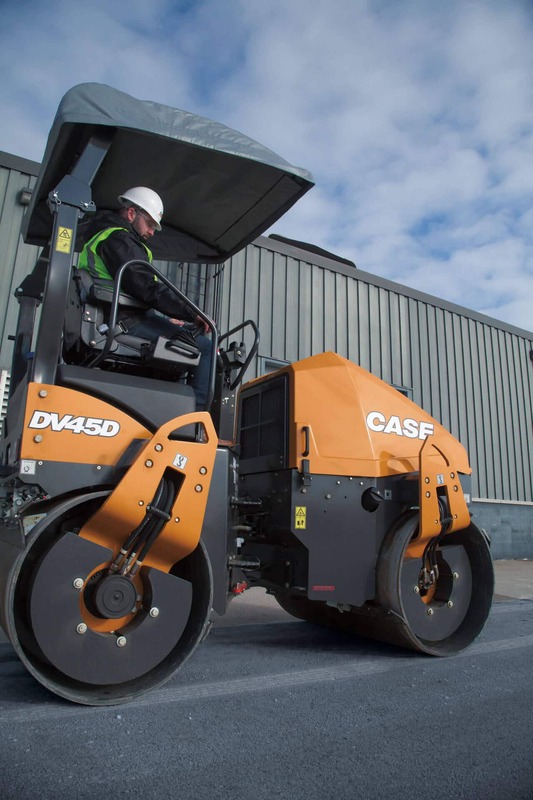 The Tier 4 Final DV45D is ideal for mid-size compaction applications. 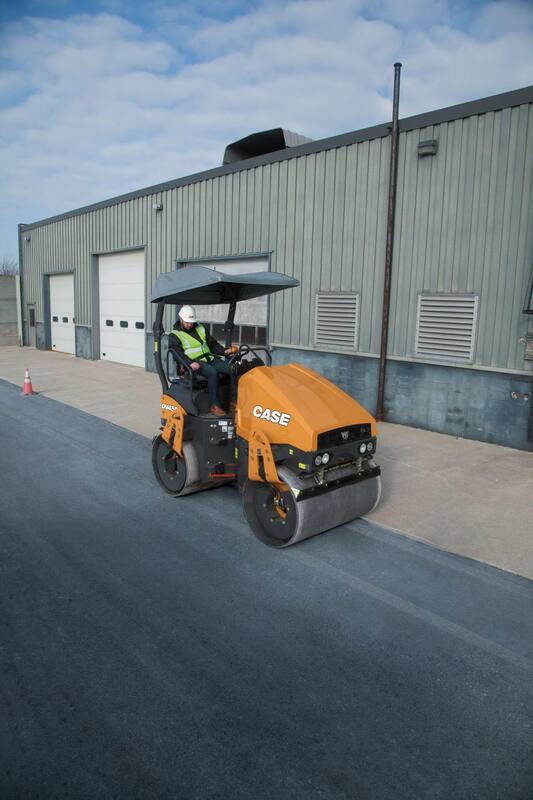 A hydrostatic drive system delivers high centrifugal forces and fuel-efficient performance while a compact, maneuverable design allows it to easily work along curbs, around obstacles and through tight turns. Controls are easy to use and intuitively placed, and high-performance features come standard to help operators of any experience level achiever consistent, high-performance results. At an operating weight of 10,340 lb. 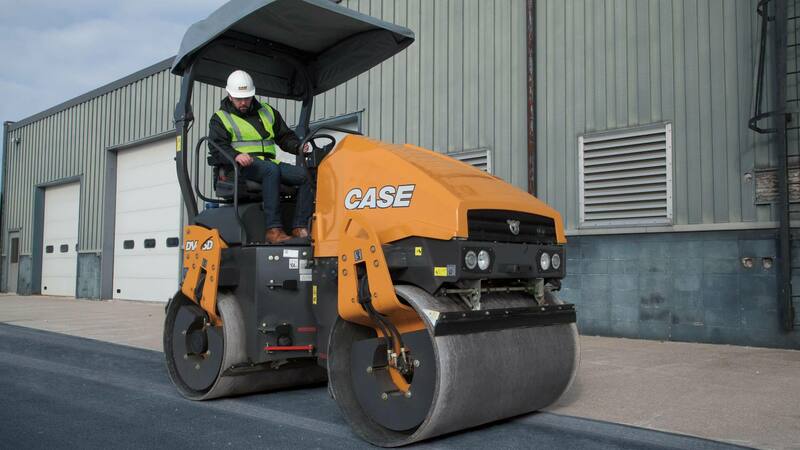 and with a drum width of 54.3 inches, the 44-hp DV45D delivers centrifugal forces of 12,364 lbf. There are no overhangs on the front, back or over the drums, allowing for compaction close to and around structures. 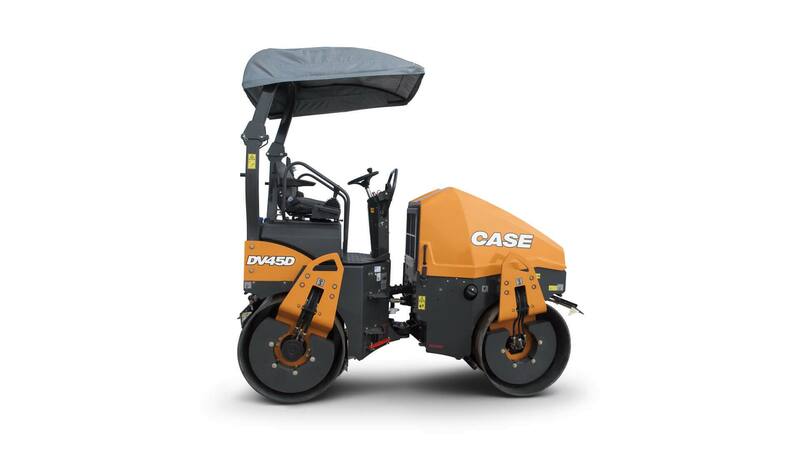 Standard features such as dual amplitudes and frequencies (45 and 57 Hz), an automatic vibration stop switch, hydraulically offset drums and a tapered drum edge improve compaction performance through stops, starts, turns and straightaways. The pressurized, double-filtered water system features a 92.5-gallon tank for all-day, uninterrupted flow on any slope and in windy or dusty environments. Tier 4 Final compliance is achieved with a DOC (Diesel Oxidation Catalyst). This solution allows for efficient performance without any additional effort from the operator. There's no new fluid to add and no regeneration downtime. It's emissions made easy. The overhang-free design of the DV45D, combined with a lateral sliding suspension seat, make it easy for operators to get the best vantage point down to the drums from either side of the machine. And with switches for water and vibration shutoff on the seat's integrated drive lever instead of on the dash, operators can make adjustments when necessary and without taking their eyes off the pavement. Additional comfort options include a weather canopy, a heated seat and dual-drive levers. The hood of the DV45D flips forward to give full access to engine service items and daily checkpoints, fill ports and drains. Routine maintenance items are conveniently located on one side of the machine and spray nozzles are also easily accessible.